The Betis coach takes 21 players to Rennes for the Europa League match. The center does not arrive in time despite training today. Quique Setién announced his squad list for the clash against the Stade de Rennes in the Europa League and neither Francis nor Bartra are present, apart from Tello's long-awaited absence. 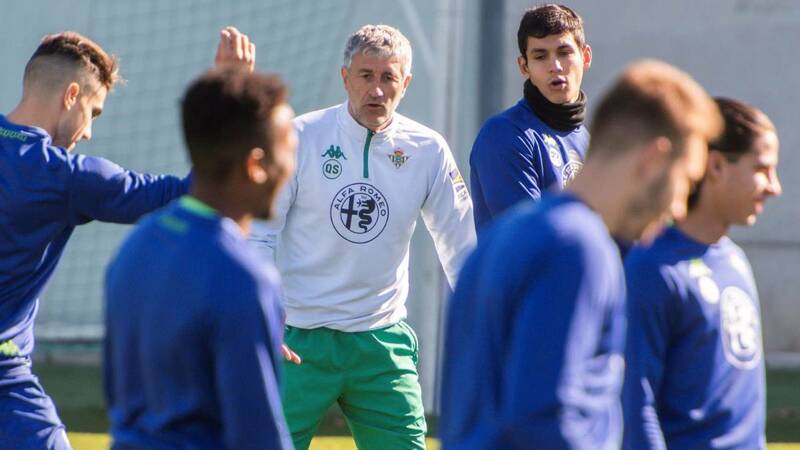 In this way, the green and white coach called several pieces of the subsidiary to complete a call for 21 players in which neither Kaptoum, who started last weekend against Leganes in Liga. La revolution in the list of Setién parte of the forced absence of Marc Bartra. The central left injured from the shock butler before the Valencia and his recovery is positive despite not being present in this list for Rennes. The player started training this afternoon with the rest of his teammates, but finally decided not to risk his physical condition in view of the important coming crashes. Among the surprises is the absence of Francis, the side most used by Setién since start of campaign. In addition to goalkeeper Dani Rebollo, highlights the presence of Jaime Garijo, Irizo and Tellado, parts of the subsidiary called to cover any need if there are more problems in the appointment on Thursday. The complete list is made up of the following players: Pau López, Joel Robles, Dani Rebollo, Barragán, Tellado, Mandi, Javi García, Feddal, Sidnei, Junior, William Carvalho, Jaime Garijo, Guardado, Canales, Lo Celso, Joaquín, Jesé , Lainez, Sergio León, Loren and Irizo.